In all Christendom at that time there were no lands more fertile than those of the Seine and Oise valleys, no king more powerful than the king of France, no center of learning more active than the schools of Paris. The Europe of the cathedrals is the Europe of an art which we call Gothic, but whose earliest and finest forms were Parisian: for this reason it was known to contemporaries as the art of France. It was a royal art, and crowned its Christs and Virgins. But it was, still more, a religious art and the medieval cathedral, flanking the newly founded university, was an embodiment in stone of the Christian faith. 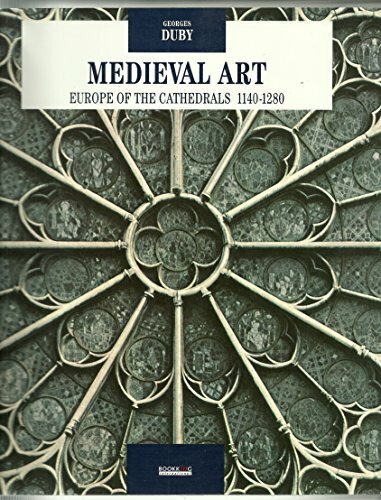 However, the course of Western civilization between 1140 and 1280 was remarkably varied and its aesthetic innovations were not confined to Gothic art. All the roads of Europe did not lead to Paris and beneath the seeming order imposed by the feudal system there were cleavages and antagonisms between the different classes of society. As for the cathedrals, they may be regarded as islands of stability in that sea of religious unrest whose cross-currents brought to the fore not only St. Francis of Assisi but also a host of heretics. For the art of the French cathedrals is in a sense an art of restraint-a call to order. If you have any questions about this product by Bookking International/Editions d'Art Albert Skira, contact us by completing and submitting the form below. If you are looking for a specif part number, please include it with your message.